ANARCHY AND CHRISTIANITY Two essays on Christian Anarchism: ‘On Anarchy’ and ‘The Kingdom Of God Is Within You’ by Leo Tolstoy. Read Inside. 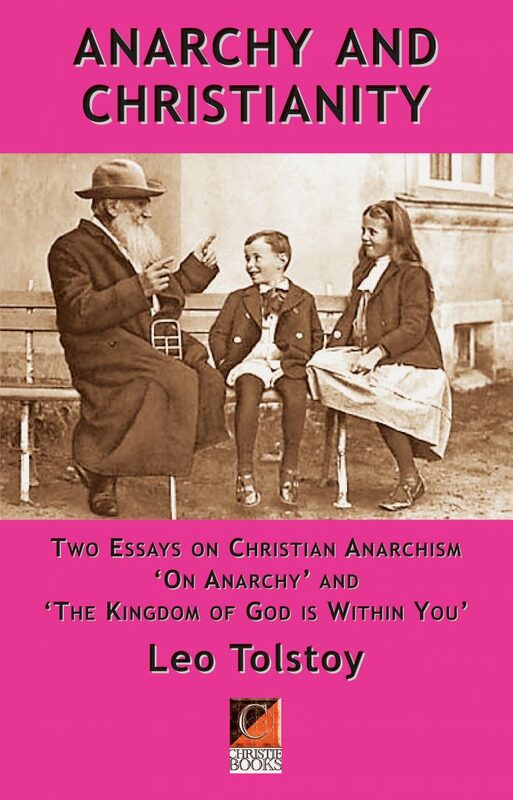 The Kingdom of God Is Within You [Tsarstvo Bozhiye vnutri vas]) and On Anarchy by Leo Tolstoy are philosophical treatises on the organisation of society based on a literal Christian interpretation of the New Testament. The former first appeared in Germany in 1894, after being banned in his home country of Russia; the latter essay was written in 1900.